Please note that this current website does not have a shopping cart. 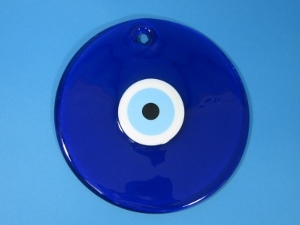 To buy our Glass Evil Eye Charms online, please go to our e-commerce website at NaturalExotics.ca. Also called nazars, these glass charms are used to ward off the evil eye, a curse considered by many cultures in Western Asia as a cause of misfortune or injury.